An irreverent look and humorous take on the biggest headlines of the day. Breaking News and Sharp Opinion. Kevin McCullough hosts afternoon drive for the Salem Media NYC. Weekdays Kevin McCullough LIVE, 3pm EST on AM 570 The Mission. Weeknights After Hours w/ Kevin McCullough, 5pm EST on AM 970 The Answer. McCullough is a political/cultural commentator on FoxNews’ America’s Newsroom. He hosts a 2min The News That Makes You Think feature airing on 400+ radio outlets nationally. 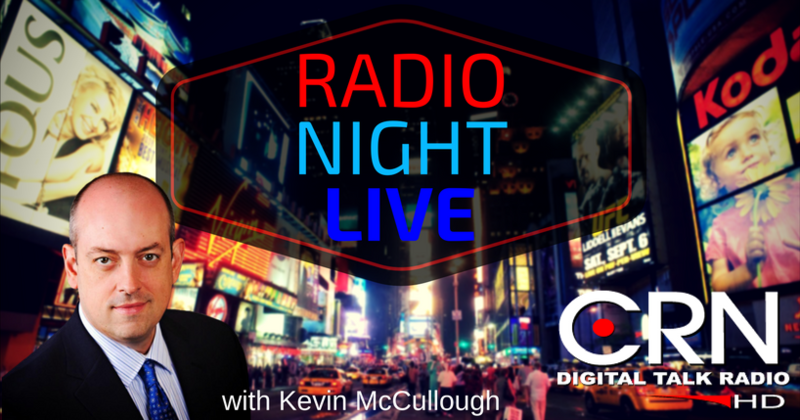 He hosts nationally syndicated hybrid news/faith talk broadcast The Kevin McCullough Show airing on 200+ outlets. He hosts the broadcast Baldwin/McCullough *LIVE* on Saturday nights 9-11pm EST, airing on 300+ radio outlets, also produced as a television broadcast for BizTV available in 48 million TV households. McCullough “originated content” constitutes 1200+ affiliate clearances per week. TALKERS Magazine recognized McCullough as the 11th most listened to voice in talk radio in America in 2015 and as number 31 on their annual list of the “Heavy Hundred” hosts.